Although others helped out at times, the primary historians of Rotary’s second 50 years were three longtime and distinguished members: Laurie Paddock, Bob Bradfield, and Ted Manning. Laurie Paddock was the third generation of his family to lead the Daily Camera and worked there for 42 years. He joined Rotary as a young man and still worked at the paper with the title of editor after it was sold in 1969 to Ridder Publications, later Knight-Ridder, until his retirement in 1992, a day before his 65th birthday and the year after the Camera turned 100. Laurie died in 2016 at age 88. Laurie, who was club president in 1978-79, was the lead author for the account of Boulder Rotary’s history from 1969 to 1994, titled “A Club with a Full Menu.” Co-members of the History Committee were Bob Bradfield, CU journalism professor Bob Rhode, and business professor Jerome Darnell. Bob Bradfield was the longtime editor of the RiB. 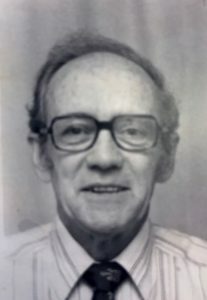 He was a World War II veteran who worked at Bradfield Lumber Co., the company his father founded, after graduating from CU with a degree in architectural engineering. He retired when it was sold in 1984 and pursued his interests in Colorado, military, and Civil War history. He and his wife, Betty, took in many international students who attended CU on Rotary scholarships. 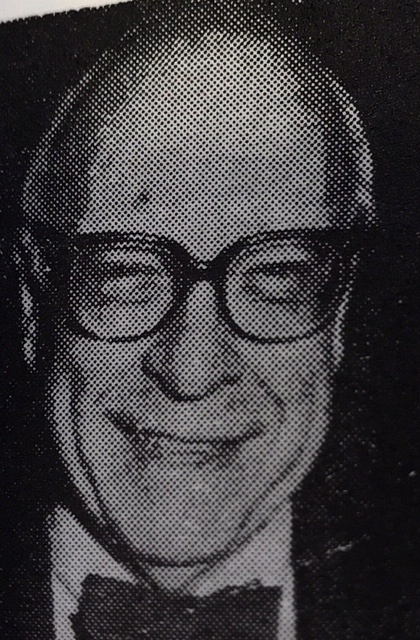 Bob was club president in 1963-64. He died in 2013 at age 88. Bob was the source of many vignettes heard at meetings throughout the years, subtitled “Tales of Old Rotary.” Some would now be considered politically incorrect. 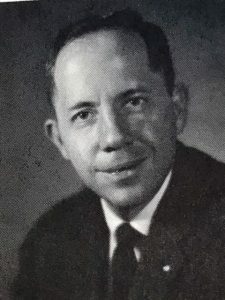 Thurston “Ted” Manning, who helped out with the RiB and other history matters, was a noted educator who belonged to Rotary several different times. He was club president in 1998-99, and was involved with the RiB and took over as its editor after Bob Bradfield retired. Ted taught physics at Oberlin College and came to CU Boulder in 1964 as Vice President for Academic Affairs and Dean of the Faculty. His career in higher education and its accreditation took him from Boulder to Connecticut, back to Boulder, to Chicago, to Washington D.C., back to Chicago, and finally back to Boulder in 1992. He was quoted in the RiB when he returned: “Fortunately, we kept the house.” Ted died in 2014 at age 88. Thanks to all of them for carrying Boulder Rotary’s history forward!